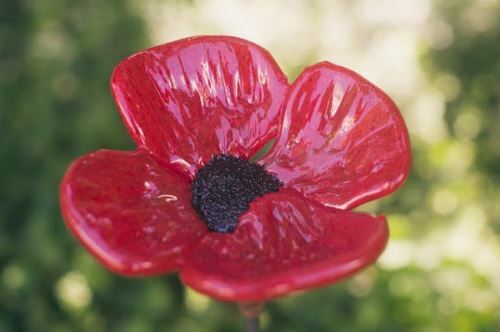 Glass poppies, created by soldiers and veterans, will be displayed at Denver Botanic Gardens in partnership with Denver’s Veterans of Foreign Wars (VFW) Post 1 to commemorate the 100th anniversary of World War I armistice and to honor the 1,290 Colorado military members who died during the war. 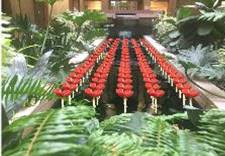 The display of 100 poppies, each around five inches in diameter, will be on view October 20 – November 11 in the Boettcher Memorial Center at the Gardens’ York Street location and is included with general admission. Active military members and veterans receive free admission to the Gardens’ York Street and Chatfield Farms locations on Veterans Day, November 11. Accompanying friends and family receive $2 off their admission. Denver is home to the United States’ first Veterans of Foreign Wars (VFW) post, a nonprofit organization serving and supporting veterans and service members. In 1899, veterans of the 1st Colorado Volunteer Infantry, home from the Spanish-American War, met in the Colorado State Capitol. To support one another and maintain camaraderie, they created a veterans group called the Army of the Philippines, John S. Stewart Camp 1, named after their beloved captain killed on the battlefield. Fifteen years later, after merging with two other veterans organizations, the group became the John S. Stewart Post 1, the first VFW post in the nation.